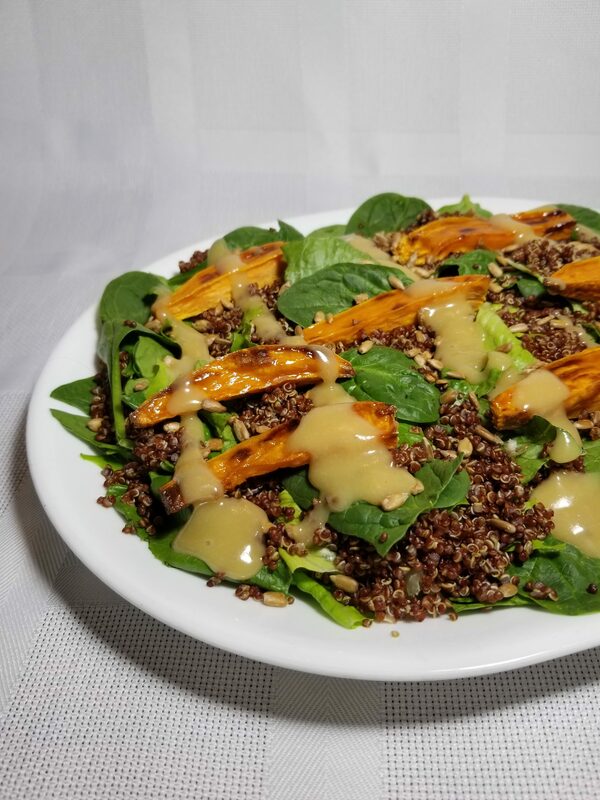 This week’s recipe of the week is a little bit different than normal. 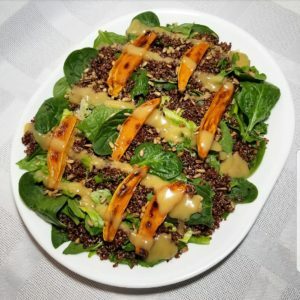 Instead of our regular format, we wanted to share with you an amazing recipe from Stephanie over at SK Parfait: Maple Glazed Sweet Potato Salad with Red Quinoa and Maple Tahini Dressing. It was inspired by our very own Dark & Robust syrup and we think it looks delicious! Then again, how could you go wrong with such a perfect combination of super-foods? Check it out on her blog here. Also, be sure to check out SK Parfait on Facebook, Twitter, LinkedIn, YouTube, Instagram, & Pinterest (*whew!*). And, if you are looking for your own inspiration, check out our dark & robust syrup sizes here. Enjoy! If you tried this recipe at home, let us know how it went in the comments below.